This case involved two brothers, both of whom were in the plant business. 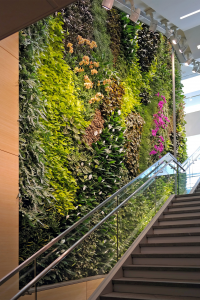 Richard Parker was president of Parker Interior Plantscapes, which installs and services plants in commercial locations. His brother Steven was president of Parker Wholesale Florists, a wholesale plant business that was later transformed into a garden center. Richard and Steven each owned one half of both business and were a vice president in the other business that they did not manage. In addition, each owned 50 percent of the separate companies that owned the land and warehouse where the wholesale distribution center was located. The Parkers ran their businesses from the same offices in Scotch Plains. Each generally ran their own business, but there were claims of misconduct and ultimately both filed suit to, as the judge commented, have the court “remedy every injustice they perceive has befallen them over the last 25 years.” Both claimed to be oppressed shareholders under N.J.S.A. 14A:12-7. The matter was ultimately tried by Judge Katherine R. Dupuis The trial court opinion is lengthy as it parses through the claims and counterclaims, but the net result is that after the trial the Court found that Steven was the culpable of the two. What is interesting is how that culpability played out in coming to a buyout value. New Jersey’s corporate code contains an oppressed shareholder provision that permits an action to be brought by a minority shareholder alleging that “the directors or those in control have acted fraudulently or illegally, mismanaged the corporation, or abused their authority as officers or directors or have acted oppressively or unfairly toward one or more minority shareholders in their capacities as shareholders, directors, officers or employees.” The statute is very broad and can be applied to virtually any conduct by the controlling owners of a closely held corporation with less than 25 shareholders. The remedies available to the oppressed shareholder include the involuntary dissolution of the corporation or the compelled purchase or sale of a shareholder’s interest. Typically, but not always, the oppressed minority shareholder brings an action in court to force the acquisition of his or her shares. It has occurred, however, that the minority has been granted the right to purchase the majority interests. 8) Upon motion of the corporation or any shareholder who is a party to the proceeding, the court may order the sale of all shares of the corporation’s stock held by any other shareholder who is a party to the proceeding to either the corporation or the moving shareholder or shareholders, whichever is specified in the motion, if the court determines in its discretion that such an order would be fair and equitable to all parties under all of the circumstances of the case. (a) The purchase price of any shares so sold shall be their fair value as of the date of the commencement of the action or such earlier or later date deemed equitable by the court, plus or minus any adjustments deemed equitable by the court if the action was brought in whole or in part under paragraph 14A:12-7(1)(c). It is important to understand the definition of “fair value,” how “fair value” differs from “fair market value” and how the two may be calculated. Fair value can be defined as fair compensation paid to the selling shareholder as consideration for his or her equity interest. It is different in concept from “fair market value,” which is the price that a willing buyer would pay a willing seller in an unforced transaction. There simply is no ready market for the selling shareholder’s shares. In reality, there can be significant overlap between fair value and fair market value. The biggest difference between fair value and fair market value is that fair market value will nearly always incorporate discounts for lack of control and lack of marketability. What that means in practical terms is that the valuation is reduced for the fact that it is difficult to sell a closely held company, and that a buyer in an arms’ length transaction will pay less for that interest. This reduction is the marketability discount. Similarly, a buyer will pay less for a minority interest because he or she cannot control the operations of the entity. Likewise, in many transactions, there may be a premium added to the interest of the controlling shareholder. Fair value is meant to compensate the shareholder fairly. There are any number of techniques that a valuation may incorporate. These include comparable sales, applying a rate of return (known as the discount rate) to the net earnings of the company, valuing its physical assets or applying a multiple to its sales or earnings. It is extremely fact-based and the techniques will vary based on the individual circumstances of the case. It requires an expert analysis and typically the trial of a case involves a battle of the opinions of the competing experts. That was this case in the dispute between the Parker brothers. Determining the value of a closely held corporation typically begins with the value of enterprise. That determination is case-specific and involves a number of factors, many of which are taken from IRS Revenue Ruling 59-60. Once the enterprise value has been determined, the question is then whether discounts will be applied, in particular the discount for lack of marketability. The general rule is that a marketability discount should not be applied in a fair value determination. The rationale is that a marketability discount unfairly benefits the purchasing shareholder who can buy the oppressed shareholders for less. It is a windfall that in many cases rewards the wrongdoer. The application of a marketability discount is reserved for the extraordinary circumstances in which equity demands the application of a discount, and the law gives individual judges wide discretion to make that decision. Here, the court had determined that the defendant was the culpable party. The court believes a marketability discount should be applied. The actions of defendant were the cause of the lawsuit. He cannot be rewarded by not applying this discount. In cases where the oppressing shareholder instigates the problems, as in this case, fairness dictates that the oppressing shareholder not benefit at the express of the oppressed. Much of the valuation differences termed on the date of the valuation. The general rule is that the fair value of a company in an oppressed shareholder action is determined as of the date of the filing of the lawsuit. The court, however may make any adjustments in value – up or down – that it deems equitable. The seller in this case argued that the value of various contracts entered into just two days after the lawsuit was filed should be incorporated in the valuation. The Court rejected this argument. On the date that the lawsuit was filed, the court reasoned, the only corporate event that had occurred was the development of a money-losing prototype. The court noted that the decisions in which adjustments had been made were tied to the contributions of the parties. On this issue, I don’t think the court gave enough consideration to the fact that the plaintiff filed suit just two days before a major development. A result like this rewards the plaintiff who brings an action knowing that there are positive corporate developments in the works. This decision is ample warning that there are few guideposts as to what types of conduct are sufficiently serious to merit the application of a discount. The court notes some circumstances in which a discount would not be applicable, e.g., a deadlock, but there is not a great deal of discussion about why or how the conduct rose to the level at which the purchase price should be reduced by a quarter. I see some good arguments as to why the discount was not fair, such as the plaintiff’s apparent acquiescence and the failure to establish that the problems in the wholesale business were not due to other factors. The presumption is against a discount, but it may not be a particularly strong presumption. If you have any questions of these issues, feel free to contact us.